Photographs from the Zimbabwe Main Circuit Championship – 2018 event at Sables Dragpro on 4 March 2018. This is likely the last time you will receive an email from the RacePics.co.za website, but luckily we have great news for you! 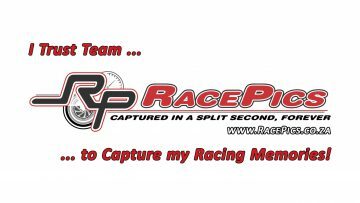 We have recently launched a new website: RacePress.co.za to address the growing needs of our clients, team members and various other requests we have received in the motorsport and motorsport media industry. In an effort to ensure a more adequate and user friendly platform dealing with all relevant motorsport media releases and reports we have created a one-stop-shop where you can get everything in one place. And it is a 100% Free Service as well! We hereby cordially invite you to subscribe on the RacePress.co.za website for the daily distribution of newsletters. We also invite any scribe/journo/story writer that is without a platform to distribute his/her work, to send us such reports or press releases. They will be published on RacePress.co.za free of charge. However, if you do own your own publication house and website and only publish for individuals it is unlikely that we will publish such reports. But you will never know if you don’t send them to us with a request for publication. Going forward RacePics will host all the photo galleries of the events we attend and cover. As some may, or may not know, we also deliver various other services to a number of clients which include: PR and Media services that include Race Reports, a full range of Social Media services and Photographic Services that include race day/race series/race team coverage. Please feel free to contact us if you are interested in any of these services. You will be surprised by the very competitive prices as well as the great coverage we get for our clients. We also plan to make advertisement slots and areas available on the websites for advertising and promotion opportunities. So if you want to get in on it while it’s sizzling hot, brand spanking new and have everyone talking, contact us without further delay.